This styles runs large. The brand suggests you order half a size down from your regular size. 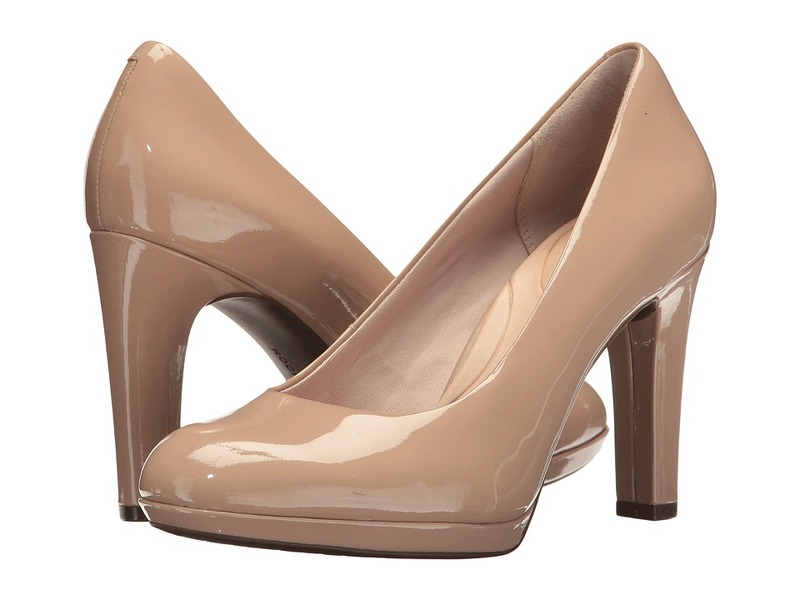 Keep things stylishly simple and understated with the Kalila Pump. Premium leather uppers with a pointy toe. Convenient slip-on style. Breathable, foam backed textile lining for added comfort. Comfort system designed to provide lightweight shock absorption. Retention foam (6mm) helps provide full foot contact and support. Polyurethane midsole plate helps provide mid-foot support and stability. Modest and sculpted kitten heel. Durable TPU outsole. Imported. Measurements: Heel Height: 2 in Weight: 10 oz Product measurements were taken using size 8, width W (C). Please note that measurements may vary by size. Weight of footwear is based on a single item, not a pair. 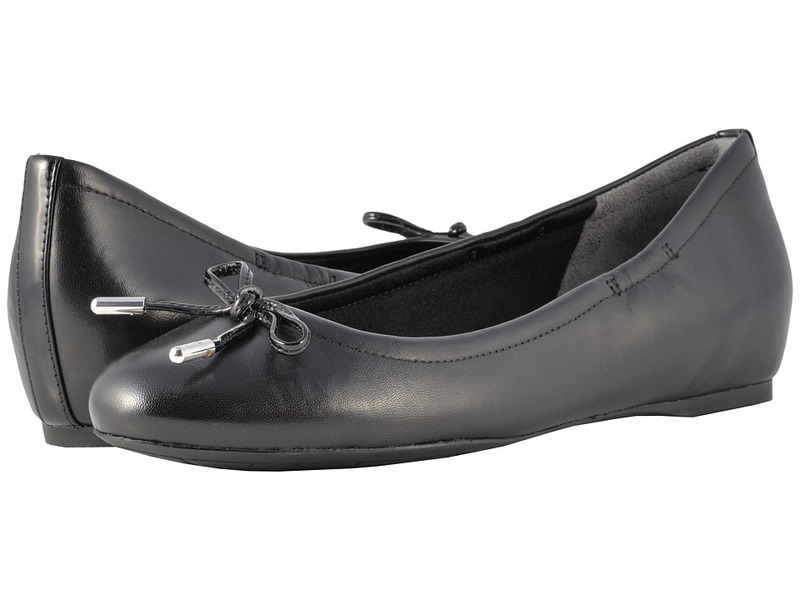 The Total Motion Adelyn Ballet flat brings the perfect mix of sophistication and style to the office. Available in a variety of uppers with a pointy toe. Slip-on design for quick and easy on and off. Man-made lining and a cushioned man-made insole. Offers 6mm-thick retention foam for superior comfort. Lightweight comfort system designed to provide shock absorption in the heel and rebound at the forefoot. Flexible TPU midsole for added support. Stacked leather heel look. Durable rubber outsole. Imported. Measurements: Weight: 7 oz Product measurements were taken using size 7.5, width W (C). Please note that measurements may vary by size. Weight of footwear is based on a single item, not a pair. 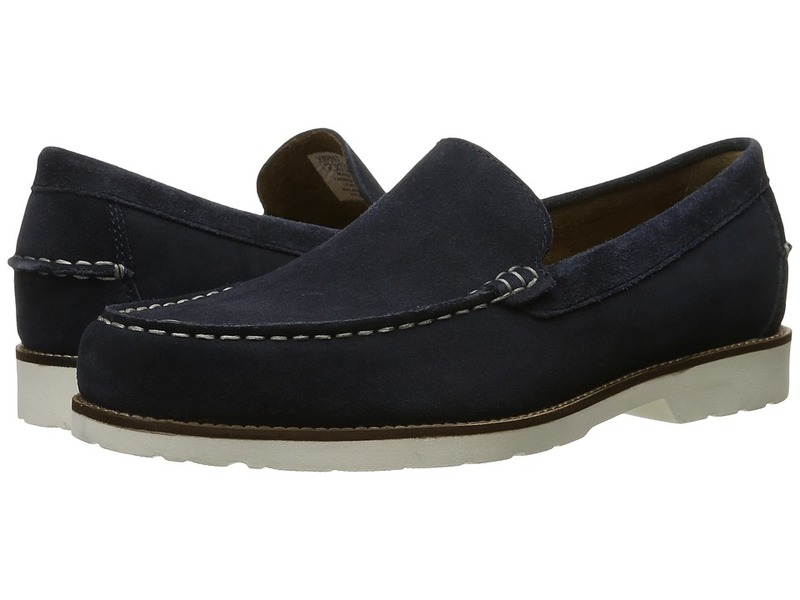 Embrace a classically sophisticated style with the Classic Move Venetian loafer. Premium leather or suede uppers with moc toe stitching. Easy slip-on style loafer. Soft and breathable knit textile linings. Features truTECH technology that provides shock absorption for added comfort and support. Durable and ightweight EVA midsole and traction outsole. Imported. Measurements: Weight: 9 oz Product measurements were taken using size 8.5, width M (D). Please note that measurements may vary by size. Weight of footwear is based on a single item, not a pair. 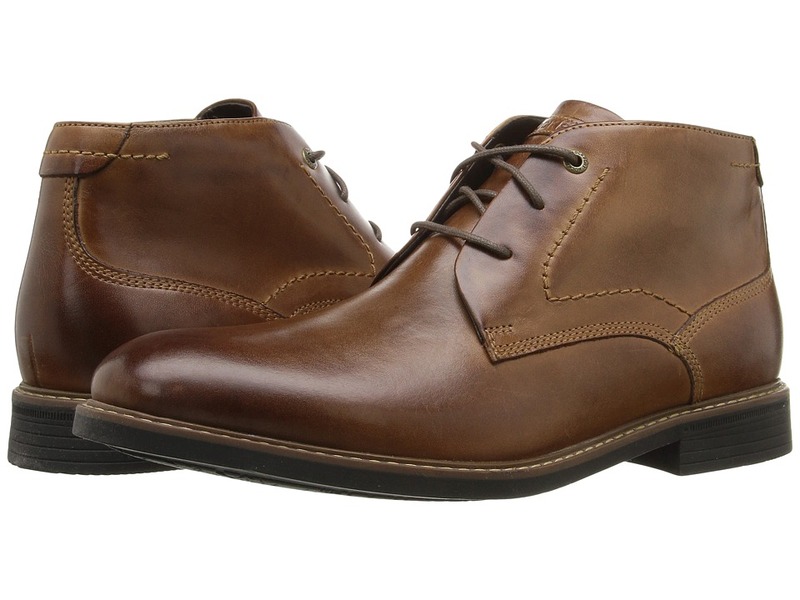 The Classic Break Chukka has versatile style to get you through the day and into the evening. Premium leather or suede uppers. Lace-up closure. Soft knit fabric linings. EVA footbed and heelcup conforms to the shape of the foot. TPR outsole for grip. Imported. Measurements: Weight: 1 lb 2.6 oz Shaft: 4 1 2 in Product measurements were taken using size 9, width M (D). Please note that measurements may vary by size. Weight of footwear is based on a single item, not a pair. You can always count on the Abilene to at a unique touch to your already awesome style! Premium leather uppers with ruched detailing at vamp and intricate laser cutouts at sides. 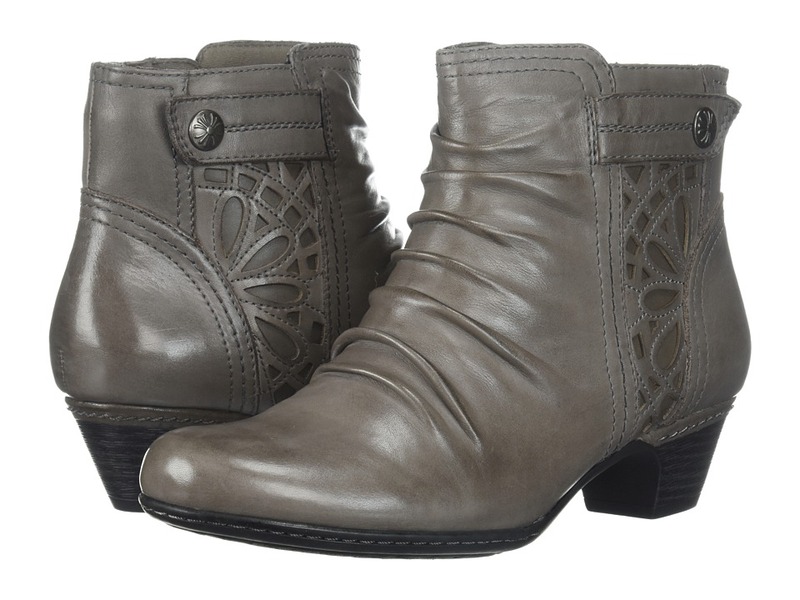 Features a medial side zipper for an easy on-and-off. Soft textile linings. Generously cushioned footbed for added comfort. Durable thermoplastic rubber heel and outsole. Imported. Measurements: Heel Height: 1 3 4 in Weight: 13 oz Circumference: 11 in Shaft: 5 1 2 in Product measurements were taken using size 10, width B - Medium. Please note that measurements may vary by size. Weight of footwear is based on a single item, not a pair. The sweet and sophisticated Abigail lends the perfect amount of femininity to a work week. Full grain leather uppers with a round toe. Features a mary jane strap with an adjustable hook-and-loop closure. Soft textile linings. Generously cushioned EVA footbed. Embedded steel shank for added stability and support. Durable rubber outsole. Imported. Measurements: Heel Height: 1 3 4 in Weight: 11 oz Product measurements were taken using size 10, width B - Medium. Please note that measurements may vary by size. Weight of footwear is based on a single item, not a pair. The Adrina makes all the difference to achieve a sensible and stylish look! Premium leather uppers with stylish straps and a round toe. 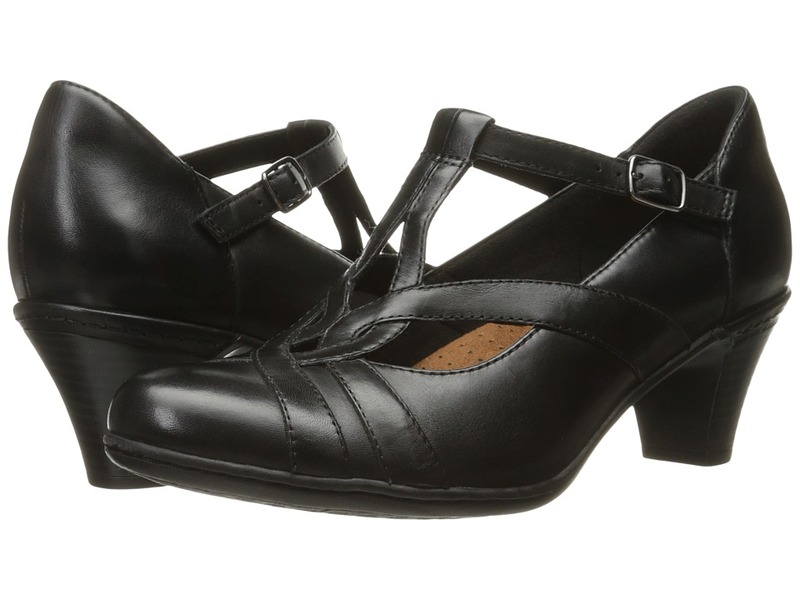 Features a hook-and-loop strap at ankle for adjustability and a heel zipper for an easy on-and-off. Smooth synthetic leather linings. 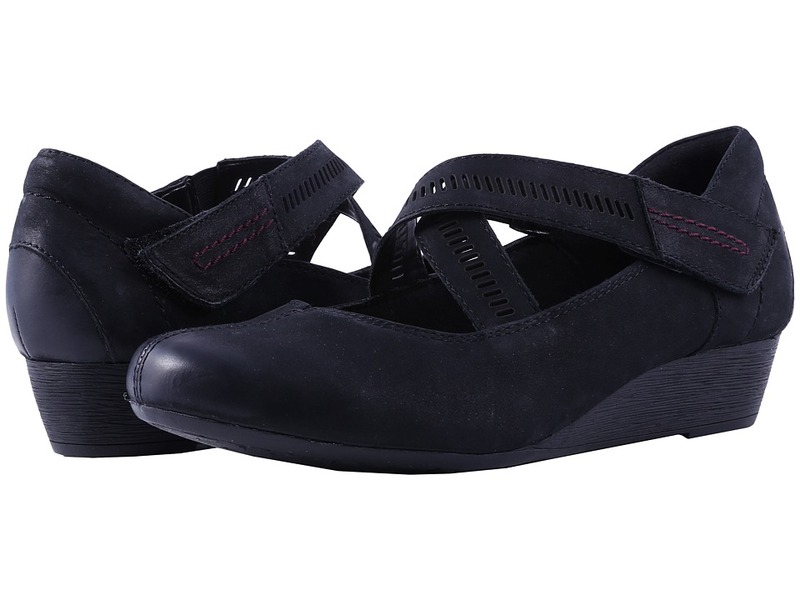 Offers generously cushioned footbed with added arch support for all-day comfort. Durable rubber outsole. Imported. Measurements: Heel Height: 1 1 2 in Weight: 11 oz Product measurements were taken using size 10, width B - Medium. Please note that measurements may vary by size. Weight of footwear is based on a single item, not a pair. 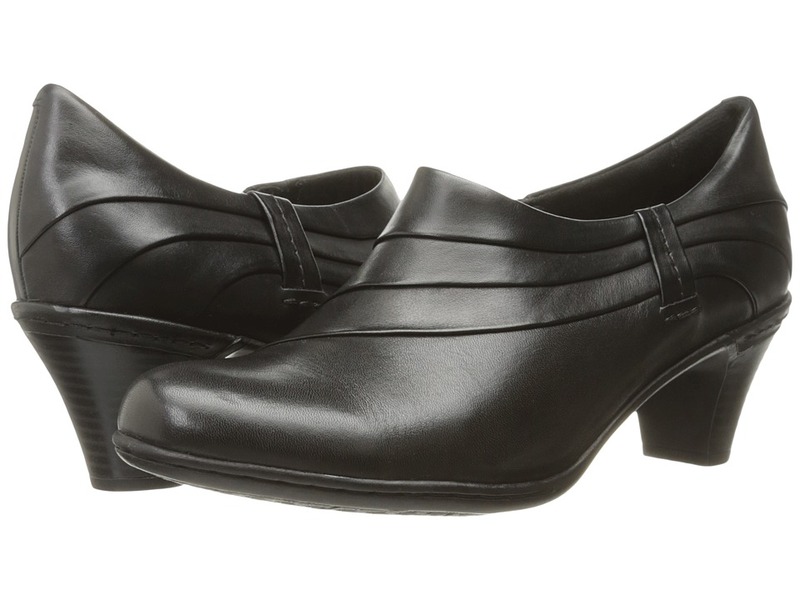 Join the workforce in fashionable comfort with the Janet mary jane wedge. Premium leather uppers with detailed stitching and a round toe. Crisscrossing straps at vamp one attached with stretch gore and one with a hook-and-loop closure for an adjustable fit. Lightly cushioned collar. Soft foam-backed fabric linings. Leather-lined cushioned EVA footbed for all-day support. Durable rubber outsole. Imported. Measurements: Heel Height: 1 1 2 in Weight: 9 oz Product measurements were taken using size 8, width B - Medium. Please note that measurements may vary by size. Weight of footwear is based on a single item, not a pair. 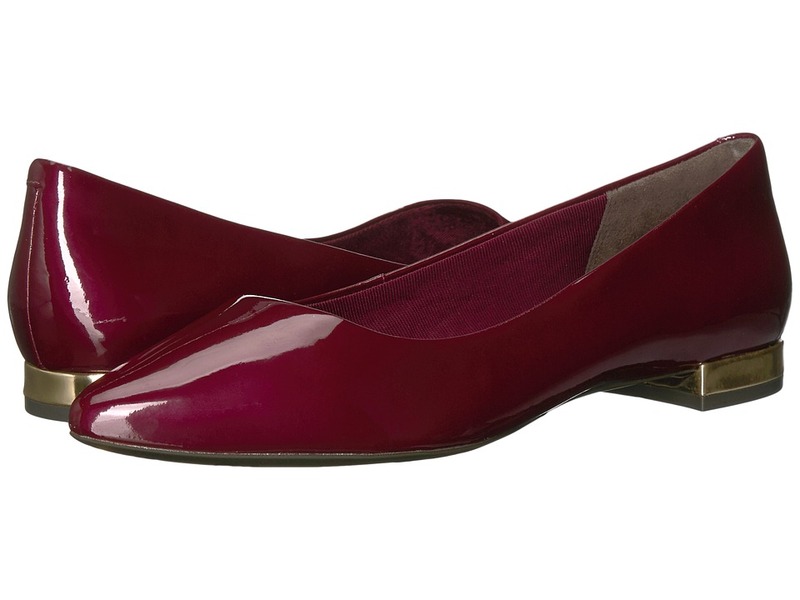 Modern and made for comfort, the Marylin will get your season started on the right foot! Leather uppers feature detailed stitching and cutouts with a round toe. 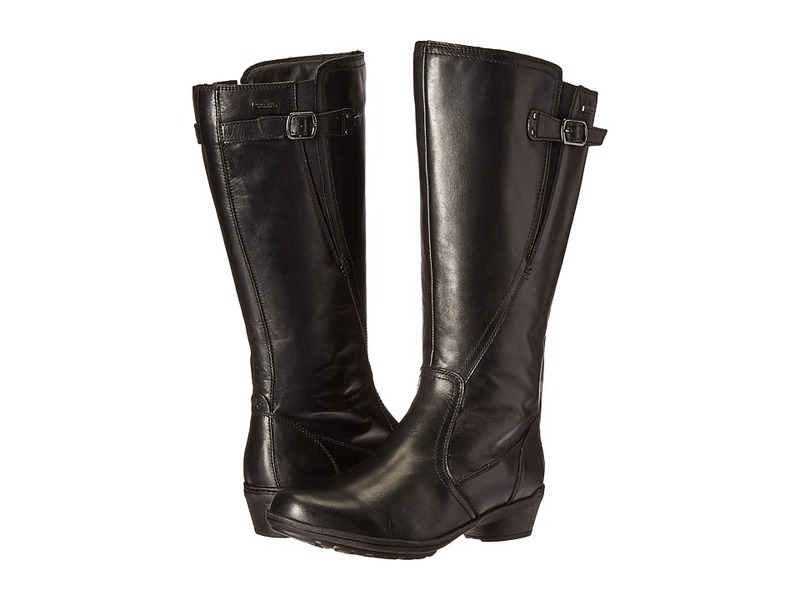 Offers a lightly padded collar and adjustable buckle at ankle strap. Soft and breathable, foam-backed textile linings. Cushioned EVA footbed conforms to the shape of the foot for added comfort and support. Sculpted heel. Durable man-made outsole. Imported. Measurements: Heel Height: 2 in Weight: 11 oz Platform Height: 1 4 in Product measurements were taken using size 8.5, width D - Wide. Please note that measurements may vary by size. Weight of footwear is based on a single item, not a pair. The modern and slimming Melissa is here to add a classy and tailored touch to you fall fashion. Premium leather upper with asymmetrical pleating across vamp. Offers a medial side zipper for a quick on-and-off. Soft foam backed textile linings for a cozy fit. Features a cushioned EVA foam footbed for added support. Durable rubber outsole. Imported. Measurements: Heel Height: 2 1 4 in Weight: 12 oz Product measurements were taken using size 10, width B - Medium. Please note that measurements may vary by size. Weight of footwear is based on a single item, not a pair. 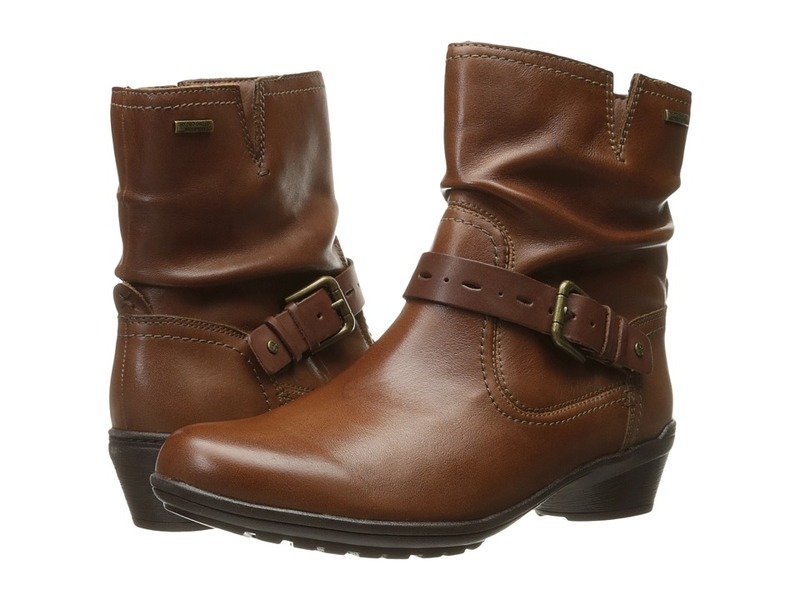 Don~t skip a beat, even when inclement weather rolls in, when you don the chic Rockport Cobb Hill Riley boot! Hydro-Shield waterproof technology keeps feet drier in wet-weather conditions. Smooth leather upper. Slightly slouched silhouette for added allure. Decorative buckle accent. Zippered medial closure. Breathable, foam-back fabric lining offers a great in-shoe feel and glove-like comfort. Lightly padded insole molds to the foot for custom comfort. Rubber outsole delivers reliable grip on a variety of surfaces. Imported. Measurements: Heel Height: 1 1 4 in Weight: 14 oz Circumference: 10 1 2 in Shaft: 7 in Product measurements were taken using size 8, width B - Medium. Please note that measurements may vary by size. Weight of footwear is based on a single item, not a pair. Rain or shine, make sure you~re still looking fierce and fine in the Rayna boot. Premium leather uppers with a round toe in a tall silhouette. Leather is treated with Hydro-shield waterproofing technology that also features a special seam-sealant that helps keep moisture out and feet dry. Features a full-length side zipper, dual side goring, and an adjustable strap with buckle at side. Soft textile linings a foam-backed for an all-day comfortable wear. Features a generously cushioned, removable EVA footbed. Durable rubber outsole. Imported. Measurements: Heel Height: 1 1 2 in Weight: 1 lb 1 oz Circumference: 14 3 4 in Shaft: 14 in Platform Height: 1 2 in Product measurements were taken using size 7.5, width D - Wide. Please note that measurements may vary by size. Weight of footwear is based on a single item, not a pair. 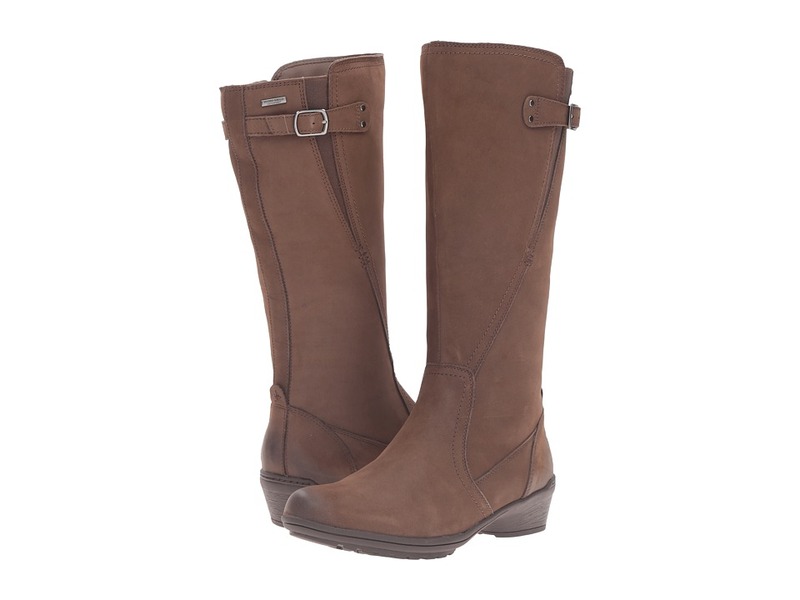 Rain or shine, make sure you~re still looking fierce and fine in the Rayna Wide Calf boot. Premium leather uppers with a round toe in a tall silhouette. Leather is treated with Hydro-shield waterproofing technology that also features a special seam-sealant that helps keep moisture out and feet dry. Features a full-length side zipper, dual side goring, and an adjustable strap with buckle at side. Soft textile linings a foam-backed for an all-day comfortable wear. 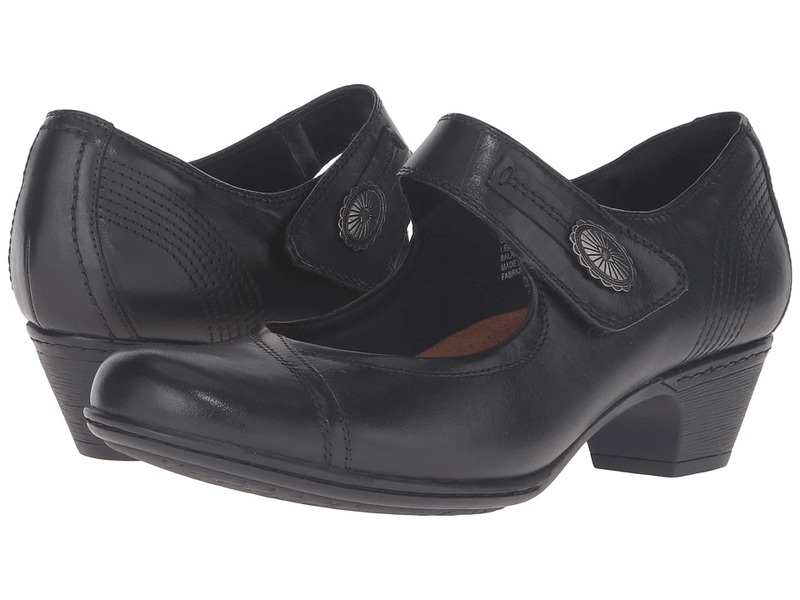 Features a generously cushioned, removable EVA footbed. Durable rubber outsole. Imported. Measurements: Heel Height: 1 1 2 in Weight: 1 lb Circumference: 15 1 2 in Shaft: 14 in Platform Height: 1 2 in Product measurements were taken using size 8, width B - Medium. Please note that measurements may vary by size. Weight of footwear is based on a single item, not a pair. This styles runs large. The brand suggests you order half a size down from your regular size. 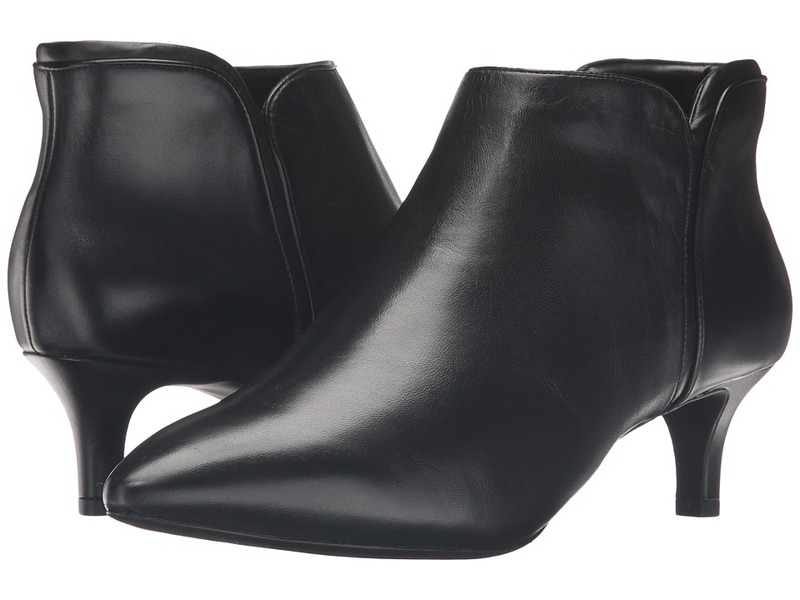 Keeps things stylishly simple and understated with the Kalila Bootie. Premium leather uppers with a pointy toe. Convenient side zip closure. Breathable, foam backed textile lining for added comfort. Comfort system designed to provide lightweight shock absorption. Retention foam (6mm) helps provide full foot contact and support. Polyurethane midsole plate helps provide mid-foot support and stability. 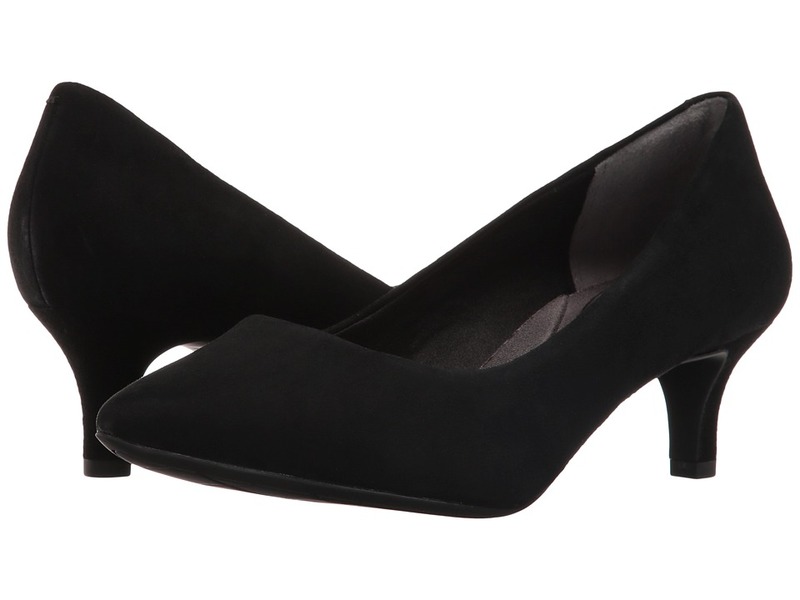 Modest and sculpted kitten heel. Durable TPU outsole. Imported. Measurements: Heel Height: 2 in Weight: 9.4 oz Shaft: 6 in Product measurements were taken using size 5, width M (B). Please note that measurements may vary by size. Weight of footwear is based on a single item, not a pair. 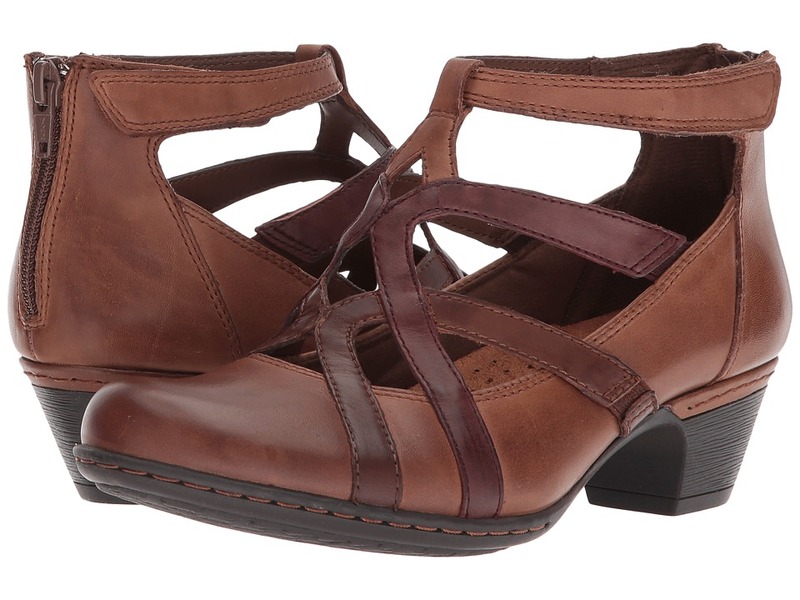 Part of the Rockport&amp#174 Seven to 7 Collection. 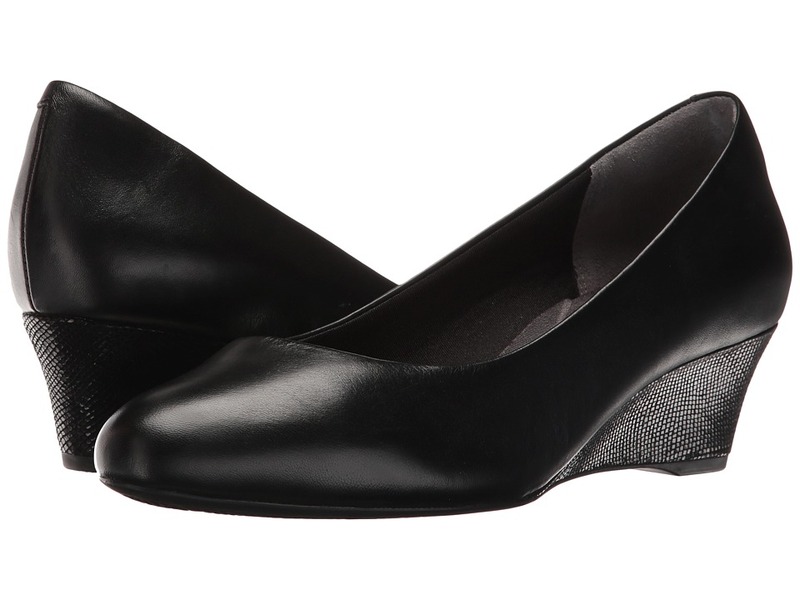 Prepare to experience comfort and style at its finest in the Seven To 7 Ally Plain Pump. Premium leather upper in a classic pump silhouette. Slip-on design for quick and convenient on and off. Soft lightweight textile NanoGLIDE linings help reduce friction for an abrasion-free wear. Features truTech and truTech+ technology designed to provide lightweight comfort, shock absorption in the heel and rebound at the forefoot. A dual density hidden platform provides shock absorption and flexibility for added support. Durable rubber outsole. Imported. Measurements: Heel Height: 3 1 2 in Weight: 11 oz Platform Height: 1 2 in Product measurements were taken using size 9, width M (B). Please note that measurements may vary by size. Weight of footwear is based on a single item, not a pair. 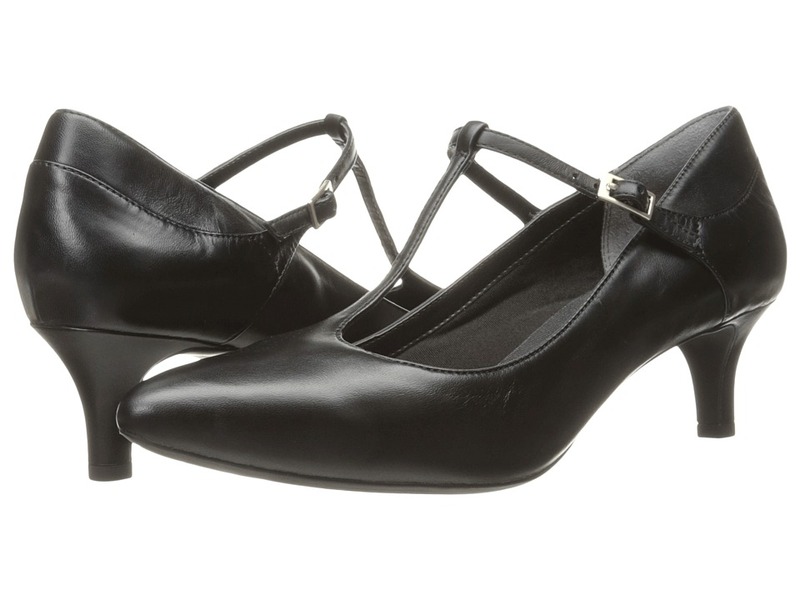 Get complete comfort and class with the Total Motion Catrin. Smooth leather upper with a round toe. Easy slip-on design. Breathable textile lining and a textile-covered insole that is cushioned for all-day comfort. Lightweight comfort system designed to provide shock absorption in the heel and rebound at the forefoot. Total Motion&amp#8482 construction with a thermal plastic urethane plate in the sole to create stability and disperse shock. Stylish wrapped wedge. Durable rubber outsole. Imported. Measurements: Heel Height: 1 1 2 in Weight: 7 oz Product measurements were taken using size 8, width M (B). Please note that measurements may vary by size. Weight of footwear is based on a single item, not a pair. This styles runs large. The brand suggests you order half a size down from your regular size. Complement your tailored look with the Total Motion Kalila T-Strap pump. Premium leather uppers with a pointy toe. Convenient slip-on style with an adjustable strap and buckle. Breathable, foam backed textile lining for added comfort. Comfort system designed to provide lightweight shock absorption. Retention foam (6mm) helps provide full foot contact and support. Polyurethane midsole plate helps provide mid-foot support and stability. Modest and sculpted kitten heel. Durable TPU outsole. Imported. Measurements: Heel Height: 2 in Weight: 7 oz Product measurements were taken using size 7.5, width M (B). Please note that measurements may vary by size. Weight of footwear is based on a single item, not a pair.